6 days into 2012 and I feel completely bombarded by the marketing slogan “New Year, New You.” Anti-wrinkle creams, gym memberships, weight-loss supplements, medspa treatments, etc all promise radical transformations, assuring you that “this is your year.” They profit by perpetuating the beauty myths that beautiful=thin and thin=healthy. In past Januarys I joined gyms, started diets, went tanning, all in an effort to change something in order to feel better about myself. What I didn’t realize then was that I needed to accept myself as-is, that no external quick-fix was going to make me happy, and if I didn’t love myself to the core I could make a dozen changes and never be satisfied. As you can tell from The “healthy weight” mind f*ck, my path of self-acceptance is definitely progress, not perfection. This time of year is especially challenging, because even though I know better, it’s really difficult to ignore the media messages. So, I’ve decided to compromise. I did not make any resolutions this year. Not one. I did not vow to deprive my body or place unrealistic expectations on myself. I will quiet that voice that says “you are not good enough.” What I have done is made a commitment to keep on doing what I’m doing – focusing on making healthy life choices (and this is not synonymous with weight loss! I can’t stress that enough). This doesn’t mean that there isn’t room for improvement or that I don’t have goals for the year, but that I should give myself some credit for the awesome things I did in 2011 and bring that positivity into 2012. -Wedding planning I spent A LOT of time researching vendors, designing all our stationary, working out our budget, and all the other crazy things that go into a wedding. It is 6 months away, and I feel like all the work I put in last year has us in a really, really good spot. In 2012 I want to continue enjoying this process, not letting stress or anxiety get to me as the date approaches. -Moving across the country JD and I packed up what we could fit in his Honda Accord coupe, and drove 3000+ miles to a new home. We furnished an empty apartment with as much post-consumer furniture as we could find (we had to buy some things new, but we tried really hard to be eco-friendly and budget-conscious). I learned the public transit system (we sold my car before the move), I found employment I love (I nanny/babysit for a few amazing families near our home), we really created a sense of home in WA. I can be shy in new situations, and so meeting people has been tough. 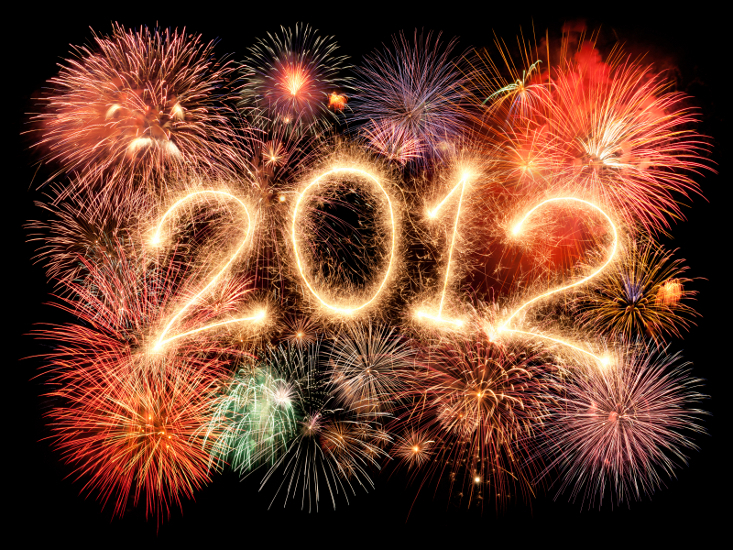 In 2012 I want to go out more, make friends with my neighbors, and get involved in the community where we live. -Writing MBrenn entered the blogosphere. Although I didn’t write often, I did get a lot of positive feedback on certain posts. I also started following a number of blogs of the same genre to take lessons from the pros. I submitted work to a number of literary magazines. I wasn’t published, but I did get honorable mention in Glimmer Train, which I think is super rad! In 2012 I want to write more consistently. I have already submitted another round of stories to various lit mags and should hear back in 6 weeks or so. -C25K A few weeks ago I started a couch-to-5k program. And although it seems impossible at times, I’ve already surpassed what I believed my body could do in terms of running. It feels great to be more active and have short term goals I get to meet each time I run. In 2012 I want to move more, finding athletic activities I enjoy that make me stronger both physically and mentally. -Took control of my health This year I addressed a few health issues I’d been ignoring for years (doctors are expensive!). I started working with a chiropractor to fix an old injury that was causing chronic neck pain. I saw a dentist for the first time since college. I got re-tested for a thyroid disorder that runs in my family and is supposed to be monitored regularly. Basically, I started putting my body first, instead of ignoring things because of fear or finances. In 2012 I will continue listening to my body, acknowledging when something is wrong and taking action to correct it. What 2011 accomplishments are you proud of? What are your thoughts on making resolutions? Hey! Didn’t know you had a blog! Cool. I applaud your idea of health choices vs weight loss as your objective. I think if you do the first, the second will probably follow, and better yet, you’ll stay off of it. Interestingly enough, I’m also planning to do a 5K run very soon, just 2 weeks away. I had only 6 weeks to go from being able to run less than a mile to being able to run the entire 3.1 miles, and additionally, due to other future requirements my goal pace is 9 minutes a mile. It is amazing how good I feel as I meet each small goal. 22 minutes of continuous running one day, 24 minutes a few days later. Good luck!